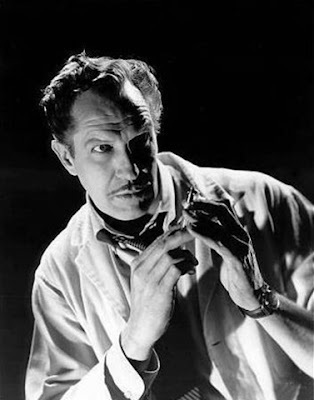 Bev over at MY READER'S BLOCK has a kind of mini-Vincent Price blogathon going on - in conjunction with Readers Imbibing Peril VII. 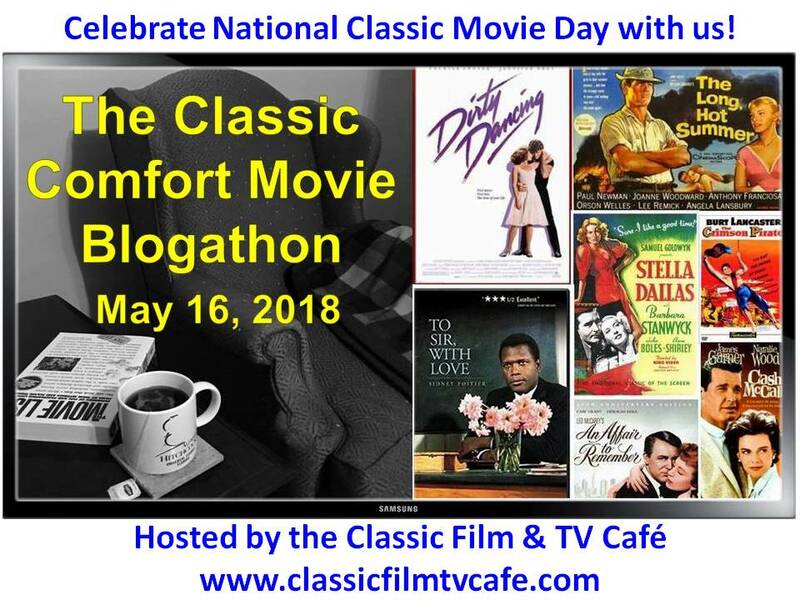 So check in at Bev's and the other link to see what's going on and maybe you'll want to join in. I'm also a fan of Vincent Price the gourmet, Vincent Price the art collector and Vincent Price the raconteur. At my fantasy dinner table for Thanksgiving or Christmas dinner, Vincent gets the first invitation. 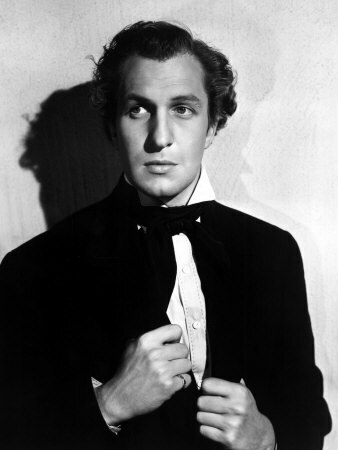 So, just because, I'm posting a gallery of Vincent Price photos I love. 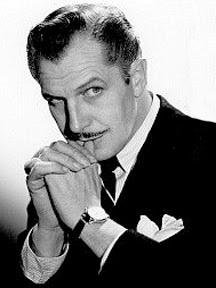 And speaking of galleries, here's a link to the Vincent Price Museum which houses art collected and donated by Vincent and Mary Price over the years. Vincent Price the smoldering Hunk. 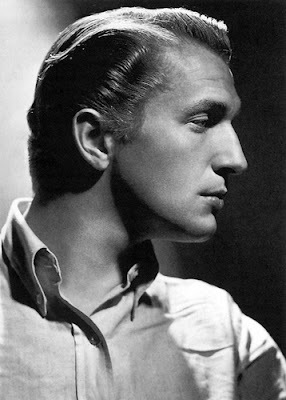 Vincent Price the Hunk in profile ala Barrymore. 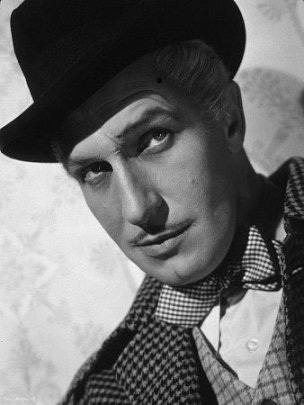 Vincent with a delicious hint of smarmy. Vincent looking boyish and pouty. Vincent about to fly into hysteria as only Vincent can. Vincent looking thoughtful and oh-so-sophisticated. Vincent in a homburg and bow tie looking as if he's up to no good. Vincent up to definite no good. Vincent thinking maybe he's gone too far? You always knew I was kidding - right? To learn about Vincent Price's life and movies, please use this link. 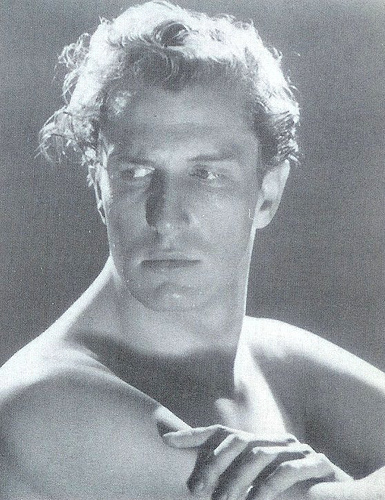 I had never seen early photographs of Vincent Price — what an amazing profile! 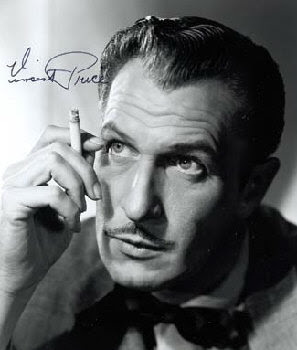 I wonder whether he would ever have been typecast as a villain without that signature mustache? Oh, you can't get away with that, Sue. Which one? Come on, spill the beans! Well, there was always something just the teensy-weensiest bit smarmy about his screen presence. My husband and I have a copy of Vincent & Mary Price's Treasury of Great Recipes and it's a wonderful time capsule of life when dining out was a sophisticated (and expensive) venture. We use the fondue recipe all the time--the secret is kirsch. 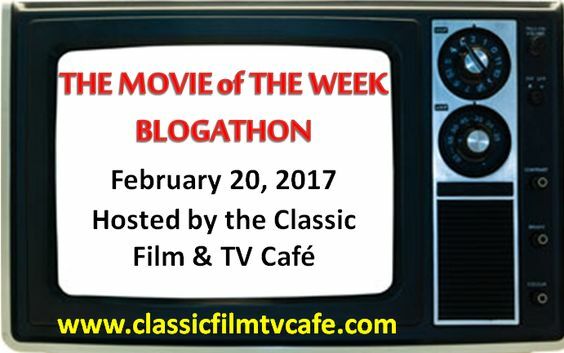 It was Theatre of Blood (1973) and I was doing work experience on the set design for the theatre they used in Putney, London. The bits I did all went up in flames in the final scenes of the film! I didn't realize there was a cookbook, Deb. But it makes sense. I love fondue. 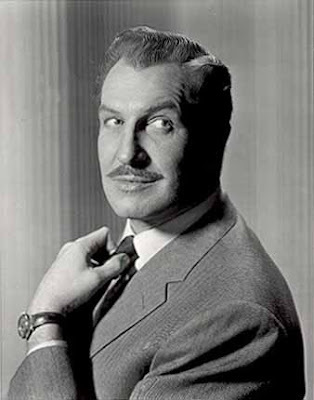 Oh, Vincent Price is the king of sophistication. For sure. Thanks, Pam. Aren't those early photos interesting? I love them. Why do you think I've never watched HOUSE OF WAX all the way through? 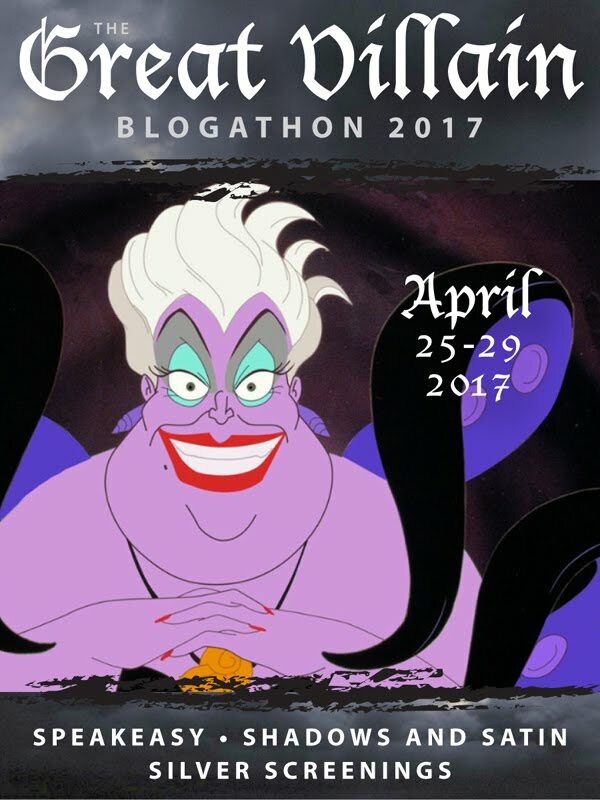 TOO SCARY! Ha! 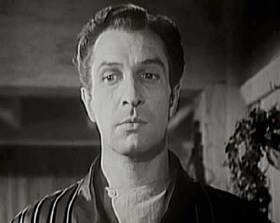 Theatre of Blood is one of the campy greats--equal parts grisly horror and laugh aloud comedy, with a wonderful premise (a Shakespearian actor kills all the critics who denied him an award--each murder in the manner of one found in Shakespeare's plays), an interesting assortment of British actors, and some surprisingly poignant moments. 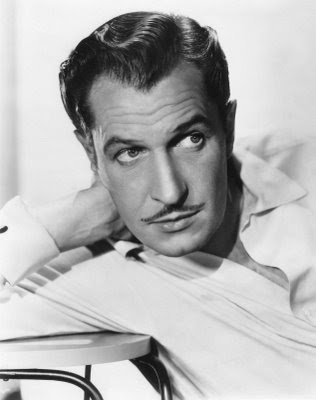 What could I say about Vincent Price -- I ADORE the man. And what can I say about these photos, except ...... Hubba Hubba! My kind of man in all ways! 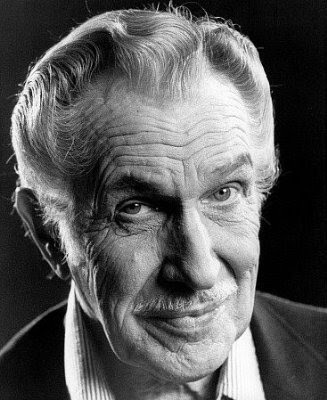 Vincent Price was one of my favorites! It took my daJghter mnay years before she could listen to his monologue at the end of Micheal jackson's song "Thriller"...lol..she was so frightened by his eerie voice as a child! 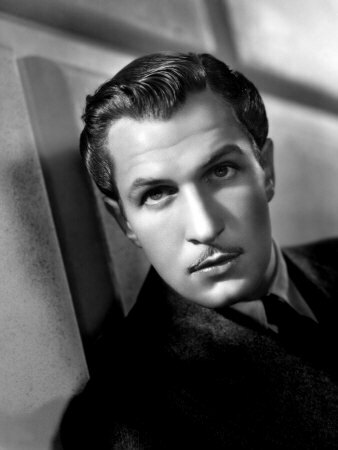 Vincent Price is my idol! I absolutely adored him in everything. I have the biography about him written by his daughter. I really need to read it. Thanks for featuring him! He had the most distinctive voice. Becky girl you and I are in total agreement! I'm going to read his biography written by his daughter. Bev over MY READER'S BLOCK highly recommends it. You're welcome, Michelle. That book's on my TBR list as well. I think there's a new generation of Vincent lovers springing up all over the place. I hope so. Pat: The visuals didn't bother your daughter but the voice did. Ha! That says a lot about the strength of imagination. Did you tape the conversation, Dorian. Imagine having that voice all for your very own. Just kidding! 'The Price is Right' HA!